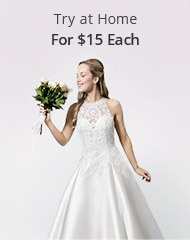 Glamorous wedding dresses are all about the details. Brides can incorporate ultra-glamorous accents into any silhouette to give the style an extra dose of drama. 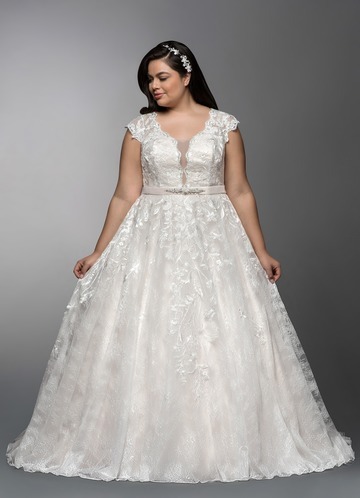 Many brides will choose the glam princess route with a larger A-line skirt that flares out from the waist, but these details will also complement mermaid styles as well as your favorite shorter cuts. 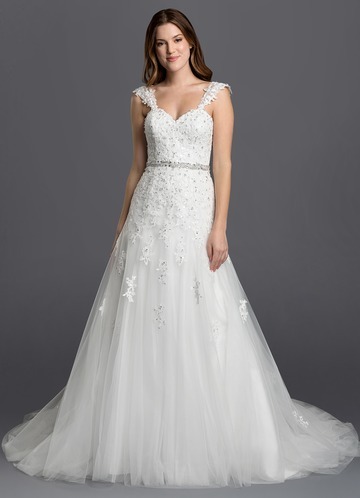 Glamorous bridal gowns will feature beaded accents that can be added to several different areas of the gown. Beaded belts are the most popular choice because they define your figure and add a touch of sparkle. 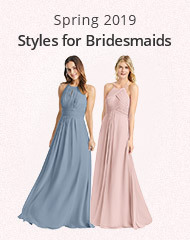 Beaded shoulder details have also become popular, while beaded bodices are a classic option that brides love because it helps to highlight the bust. Another glamorous detail brides love is sequins. Sequin details can be incorporated through skirts, at waistbands and through bodices. 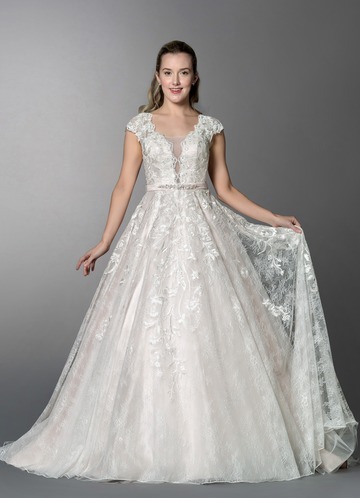 Whether they are on top of lace or under tulle overlays, they will always give your dress an elegant shimmer. There are also glamorous elements that don’t include sparkle, but can still add drama to your bridal ensemble. One of our classic favorites is ruching. 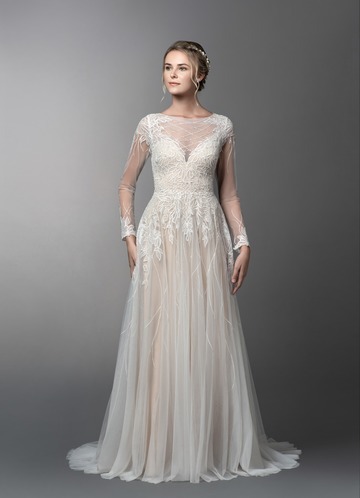 This gathered detail is sophisticated and can create emphasis through any section of your gown. 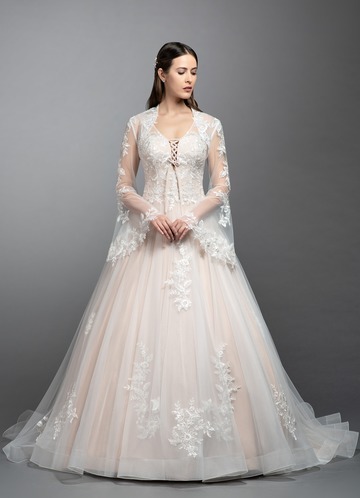 It can be added as chic complement to a bodice or through the entire top of mermaid gown, this detail is always romantic. Another beautiful fabric style is pleating. Whether small or large, pleats create additional volume and movement usually through the skirt of your bridal gown. These gorgeous styles are a glamorous bride’s best friend. 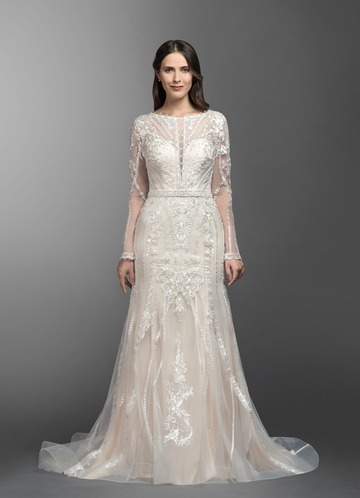 Glamorous wedding dresses can also be paired with beaded veils that feature glittery accents along the hem. 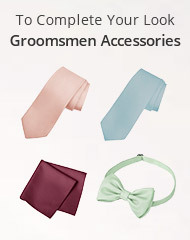 This will add a dramatic finish to your wedding day look. Many brides will also add glittery shoes to give their bridal look that extra dose of sparkle.